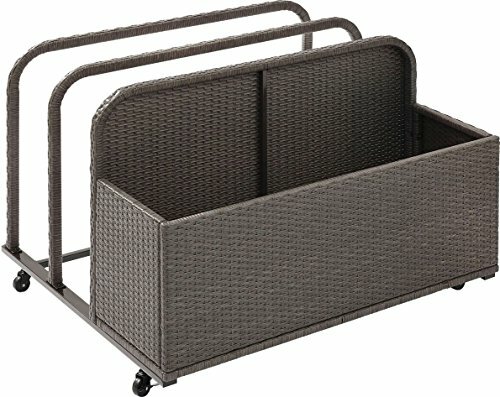 Keep your poolside fun organized with the Crosley Furniture float caddy. Made from all-weather wicker around a sturdy powder-coated metal frame, there's plenty of room for full-sized lounge floats in the racks & smaller pool toys in the basket. UV-resistant coating will ensure your float caddy stays beautiful for many sunny seasons to come.